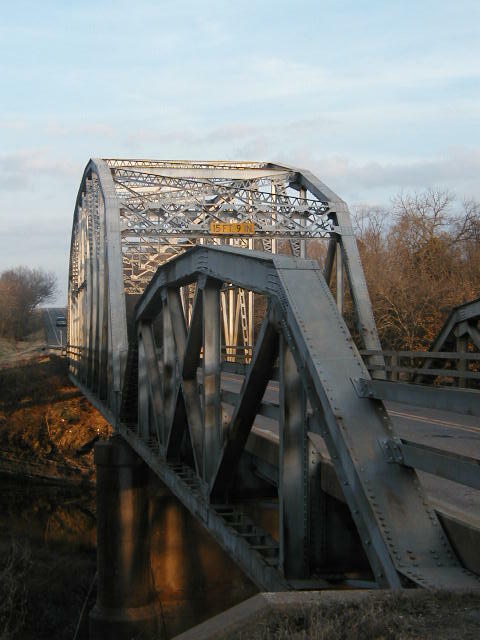 Built in 1939, this rugged 210-foot K-parker truss and 100-foot Parker Pony span the Fourteen Mile Creek arm of Lake Ft. Gibson. Above, a view of the bridge looking east. 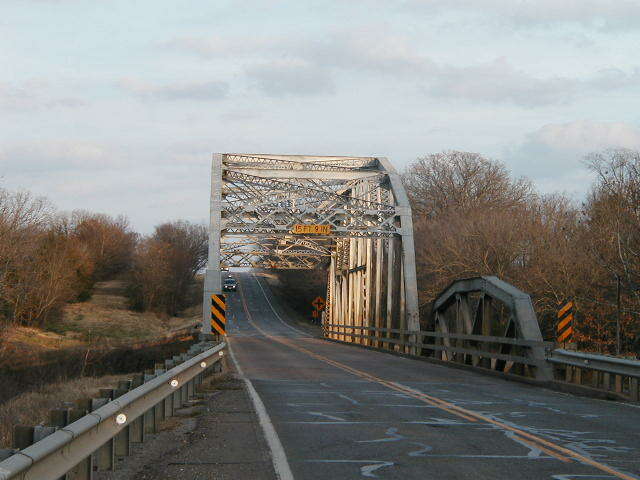 The bridge is located west of Hulbert. Above, another view of the bridge. Their are no approach spans, just the two trusses. Below, a view along side the bridge. 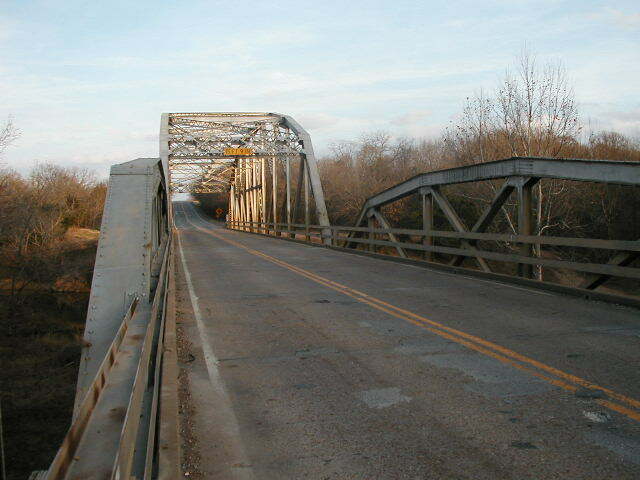 This structure stands in good condition, and an excellent example of a dependable bridge type.